On September 14, the Port of Los Angeles (POLA) announced a preliminary award of $41 million from the California Air Resources Board - an FCHEA member - for the port's Zero-Emission and Near Zero-Emission Freight Facilities (ZANZEFF) project. The project provides a large-scale “shore to store” plan and a hydrogen fuel cell technology framework for freight facilities to structure operations for future goods movement. ZANZEFF was proposed with support from Kenworth, Shell, and FCHEA member Toyota. Ten new hydrogen fuel cell Class 8 on-road trucks on the Kenworth T680 platform will be developed through a collaboration between Kenworth and Toyota to move cargo from the Los Angeles ports throughout the Los Angeles basin, as well as ultimately to inland locations such as Riverside County, the Port of Hueneme, and eventually to Merced. Two new large capacity heavy-duty hydrogen fueling stations will be developed by Shell in Wilmington and Ontario, California. The new stations will join three additional stations located at Toyota facilities around Los Angeles to form an integrated, five-station heavy-duty hydrogen fueling network. Together, they will provide multiple sources of hydrogen throughout the region, including over 1 ton of 100% renewable hydrogen per day at the station to be operated by Shell. Stations supplied by FCHEA member Air Liquide at Toyota Logistics Services in Long Beach and Toyota Technical Center in Gardena will serve as important research and development locations. Toyota's Project Portal 2.0 "Beta" hydrogen fuel cell heavy-duty truck, which will benefit from the construction of new hydrogen fueling stations in Wilmington and Ontario under the ZANZEFF project. According to POLA, the total project cost for this initial phase is $82,568,872, with partners providing approximately 50% in match funding. If confirmed for a final award, the project's CARB funding will come from California Climate Initiatives, the state's greenhouse gas emissions cap-and-trade program. Review and input on project implementation will be provided by the National Renewable Energy Laboratory and the South Coast Air Quality Management District, an FCHEA member. Click here for the full press release from the Port of Los Angeles. 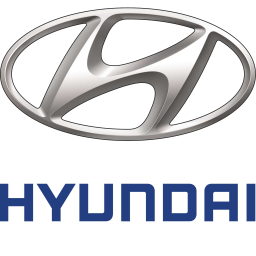 On September 19, FCHEA member Hyundai Motor announced a partnership with H2 Energy in Switzerland to provide 1,000 heavy-duty fuel cell trucks and an adequate supply chain for renewable hydrogen to the Swiss commercial vehicle industry. The announcement - made at IAA Commercial Vehicles 2018 in Hanover, Germany - follows Hyundai's reveal of its hydrogen fuel cell truck on September 13 via press release. According to Hyundai, the truck will have a driving range of approximately 250 miles per hydrogen fueling, and distribution will begin in 2019. Hyundai states that the trucks are powered by two connected 95 kW fuel cell systems, similar to its new NEXO fuel cell SUV. According to specifications provided by Hyundai, the as-of-yet unnamed truck will have a Gross Combined Weight of thirty-four tons with an attached trailer, and a hydrogen refueling time of seven minutes. Digital rendering of Hyundai's new heavy-duty fuel cell truck, shown at IAA Commercial Vehicles 2018. H2 Energy plans to make the Hyundai fuel cell trucks available to its Swiss customers starting with the members of the Swiss H2 Association, which includes several refueling-station operators, retailers and other customers focusing on eco-friendly innovative solutions for logistics and goods distribution. Hyundai also states that to diversify its fuel cell vehicle lineup, the company is developing a medium-sized fuel cell truck with a payload of four to five tons which can be used in the public services domain. Click here for the full press release from H2 Energy and Hyundai. 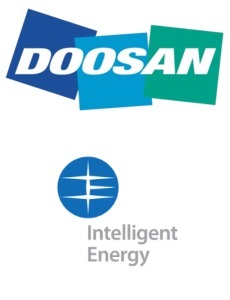 On September 5, FCHEA members Doosan Mobility Innovation, Inc., and Intelligent Energy unveiled hydrogen fuel cell powerpacks for commercial unmanned aerial vehicles (UAVs). 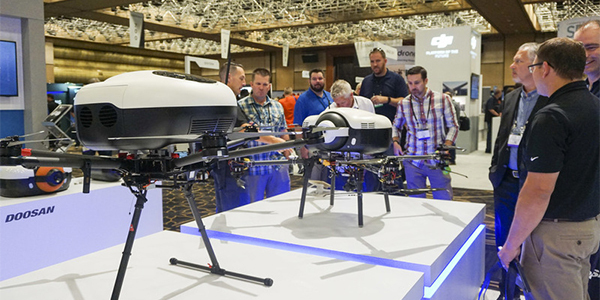 Both products were showcased in Las Vegas at InterDrone 2018, one of the largest commercial drone exhibitions in the United States. According to Doosan, its UAV fuel cell powerpack is refueled using a single, detachable hydrogen container. Doosan states that the powerpack can keep UAVs flying for two hours on a single charge of hydrogen. Doosan displays a UAV with the company's new hydrogen fuel cell powerpack at InterDrone 2018. Intelligent Energy's new 800W Fuel Cell Power Module (FCPM) was shown with the company's 650W model, which was unveiled at last year's InterDrone exhibition. According to Intelligent Energy, the 800W FCPM is 10% more power dense than the 650W model, and multicopter UAVs will be able to carry one kilograms of cargo for two hours, or two kilograms for one hour. Intelligent Energy also states that they will work with customers who have the capability to combine two of the 800W models to provide 1.6 kW of continuous power. The 800W product will be CE and FCC certified and is available to pre-order now, with first shipments planned for January 2019. The FCPMs use Intelligent Energy’s Air Cooled PEM fuel cell technology and run on hydrogen and ambient air. For more information on Doosan's UAV powerpack, click here for an article from Pulse Business News Korea. For more information on Intelligent Energy's 800W FCPM, click here for the company's full press release. On September 5, Connecticut Governor Dannel P. Malloy announced the approval of a $5 million state grant to establish a microgrid at the U.S. Naval Submarine Base in Groton, Connecticut. The microgrid is comprised of a fuel cell park being built by FCHEA member FuelCell Energy, which broke ground on the project earlier this year. The Navy has lauded the grid-resilient fuel cell installation, which will help protect critical national security infrastructure during weather and human-caused power outages. Click here for the full press release from the Office of Governor Malloy. On September 18, FCHEA member Plug Power announced that it is manufacturing proprietary membrane electrode assemblies (MEAs), a key component of its newly designed ProGen metal plate stack for fuel cell vehicle engines. According to Plug Power, the new metal stack doubles the power density of its current graphite plate stack to extend the life cycle of its ProGen fuel cells for on-road applications. Plug Power states that the new MEA production is possible due to experience gained through its acquisition of Rochester, New York-based American Fuel Cell this past June. Click here for the full press release from Plug Power. On September 6, Hyster Company announced the receipt of a grant from the State of California to develop a zero-emissions container handling truck. In addition to a lithium ion battery, the vehicle will also be powered by a fuel cell from FCHEA member Nuvera, a subsidiary of Hyster. 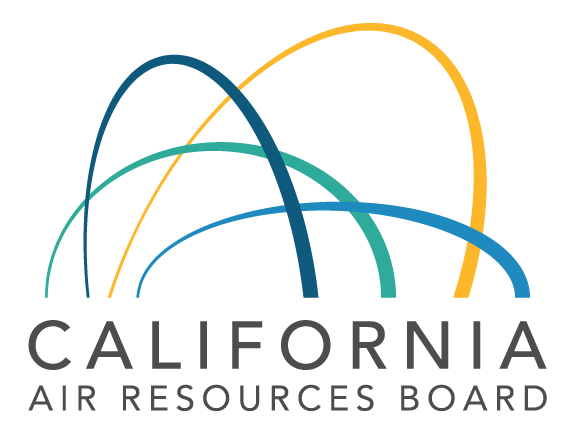 The grant was awarded by the California Air Resources Board (CARB), with funding from California Climate Investments, the state's cap-and-trade program on carbon dioxide emissions. 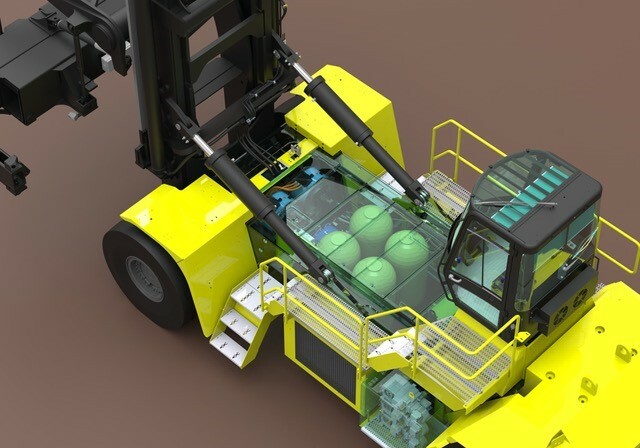 Hyster and its business partners will develop the container handling truck for an end user at the Port of Los Angeles. According to Hyster, the zero emissions top-loader with a fuel cell and lithium-ion battery is expected to operate for a full day before requiring hydrogen re-fueling. Hyster states that the vehicle therefore can support material handling applications with higher power consumption and a heavy duty cycle. Lyndle McCurley, Vice President of Big Truck Sales Americas for Hyster told the American Journal of Transportation that the company aims to offer the fuel cell and battery powered container handler with a choice of charging options for end users. Click here for the full article from the American Journal of Transportation. On August 24, FCHEA member Bloom Energy announced that they will install a 1.1 MW fuel cell microgrid to provide primary power for JSR Micro, Inc., a subsidiary of JSR Corporation that develops electronic materials for the semiconductor industry in Sunnyvale, California. Bloom states that the microgrid is expected to be operational by the end of 2018. According to Bloom, JSR Micro selected the Bloom Energy Server fuel cell microgrid to mitigate escalating power outages and an increased risk of interruptions to its precision manufacturing operations. The Bloom Energy Server is capable of providing continuous power 24/7, allowing JSR Micro to continue operations even if the electrical utility grid fails. In late August, FCHEA member Altergy Systems announced a formal partnership with 101 Telco Solutions, a high-end electronic equipment repair, distribution, and technical services company based in Santa Barbara, California. 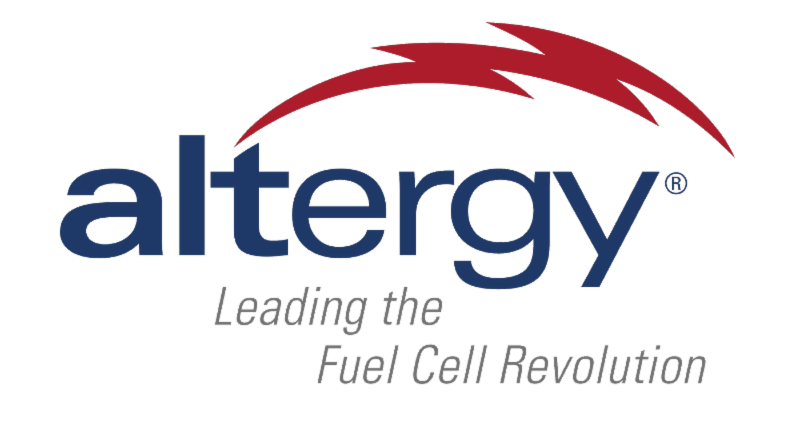 Under the partnership, 101 Telco Solutions will offer Altergy's fuel cell power backup technology as more efficient, cleaner, and reliable alternative to battery power systems. Click here for the full press release from Altergy. On September 19, FuelCell Energy announced that its SureSource fuel cell power plants have generated more than eight million megawatt hours of clean power at commercial installations across three continents. Citing the United States Environmental Protection Agency, FuelCell Energy states that eight million megawatt hours of clean energy production is enough to offset about 13 billion pounds of carbon dioxide emissions and power over 725,000 average size American homes for one year. On September 11, Plug Power announced a collaboration with Rensselaer Polytechnic Institute's (RPI) Center for Automation Technologies & Systems (CATS) and the U.S. Department of Energy’s National Renewable Energy Laboratory (NREL) to develop a first-of-its-kind robotic hydrogen fueling technology for motive power applications. According to Plug Power, the immediate goal of the robotic fueling station is to increase the ease and efficiency of fueling hydrogen fuel cell-powered vehicles in warehouse settings. Plug Power and the RPI CATS teams completed a pilot feasibility study for the robotic fueling station, which demonstrated the ability of the system to independently interconnect the fuel cell to the fueling station without human intervention. Plug Power states that the research and development team will now use a $2 million grant recently awarded by the DOE Office of Energy Efficiency and Renewable Energy to develop a commercially viable autonomous hydrogen fueling station, with additional technology development including data exchange, interconnection interfaces, and robotic equipment that meets the safety standards of commercial deployment in unstructured environments. NREL will leverage research experience in hydrogen station performance evaluation and component and system reliability to conduct preliminary testing for on-road fueling. According to Plug Power, this work will then be used to develop a demonstration on-road dispenser. On September 5, FCHEA member Nel ASA announced that it has invested $5 million into Nikola Motor Company as part of their C-round financing. Nikola announced in August that the company has secured $100 million in investments so far, and is on track to raise $200 million. According to Nel, the C-Round investment is meant to strengthen the partnership and collaboration between both companies. 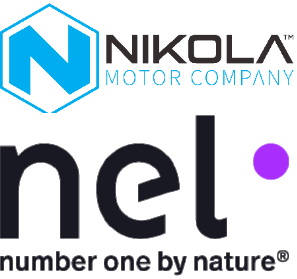 Earlier this year, Nel entered a multi-year partnership with Nikola to deliver 448 electrolyzers to produce renewable-sourced hydrogen fuel. Nikola aims to develop a network of 700 renewable-sourced hydrogen fueling stations across North America by 2028 to supply zero emission fuel cell vehicles. On August 30, FuelCell Energy announced the sale of the project company that owns the 1.4 megawatt (MW) fuel cell power plant located at Trinity College in Connecticut, to AEP OnSite Partners, an American Electric Power company. The power plant will commence commercial operation following the sale and will deliver clean power and heat to Trinity College under a multi-year power purchase agreement (PPA). FuelCell Energy will operate and maintain the power plant under a fifteen-year service agreement with AEP OnSite Partners. The 1.4 MW SureSource 1500 fuel cell plant will generate electricity and steam while achieving overall system efficiency upwards of 70 percent. According to FuelCell Energy, the fuel cell plant will reduce carbon dioxide emissions by approximately 4,100 tons per year as compared to the national grid, which is equivalent to the emissions produced by about 965 passenger vehicles. FuelCell Energy also states that the power plant will reduce emissions of smog-producing nitrogen oxide by eight tons, sulfur dioxide that causes acid rain by ten tons, and more than 2,500 pounds of particulate matter that can aggravate asthma. On September 13, Bloom Energy showcased its new solution for generating clean electricity from waste biogas at the Bay Area Air Quality Management District Climate Tech Marketplace, an affiliate event of the Global Climate Action Summit in San Francisco. 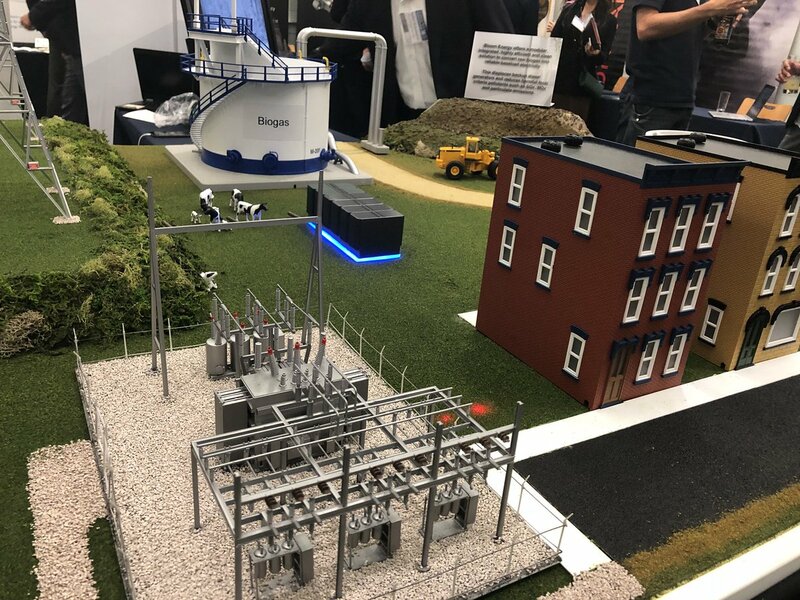 At the event, Bloom demonstrated how a standard Bloom Energy Server integrated with a new biogas clean-up module can generate clean electricity from biogas emitted by landfill, agricultural, waste and water treatment processes. According to Bloom, the prototype module will clean the biogas of moisture and contaminants, enabling its use in fuel cells while dramatically reducing methane emissions in the process. Bloom expects to begin testing the new solution with customers imminently. Bloom states that with their new module, they hope to solve three problems historically associated with fuel cell-based electricity generation from biogas: low efficiency and output levels, low reliability at the fuel cell's end-of-life, and the lack of integrated gas clean-up. On September 13, FCHEA President Morry Markowitz addressed CEOs of 53 energy, transport, and industry companies at the Global Hydrogen Leaders Forum, an official affiliate of the 2018 Global Climate Action Summit in San Francisco. Mr. Markowitz discussed the state of the American fuel cell and hydrogen energy industry, along with recent accomplishments and future objectives of FCHEA. 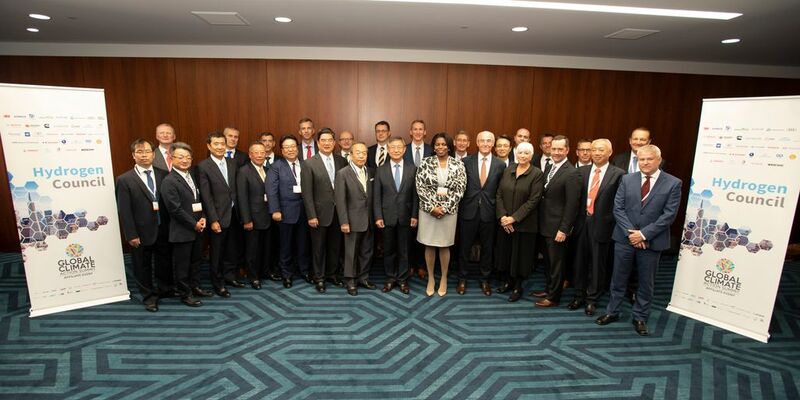 The Global Hydrogen Leaders Forum served as the third annual CEO event for the international Hydrogen Council. Many FCHEA member companies attended the Global Hydrogen Leaders Forum to engage with stakeholders on driving the large-scale commercialization of hydrogen worldwide. Click here for the full press release from the Hydrogen Council, which includes more information on the Global Hydrogen Leaders Forum and the release of the Council's latest discussion paper Hydrogen Meets Digital. In September, New York State’s (NYS) Department of Environmental Conservation (DEC) released its Beneficiary Mitigation Plan (BMP) detailing how the state proposes to use the $127.7 million provided as part of the Volkswagen Settlement. 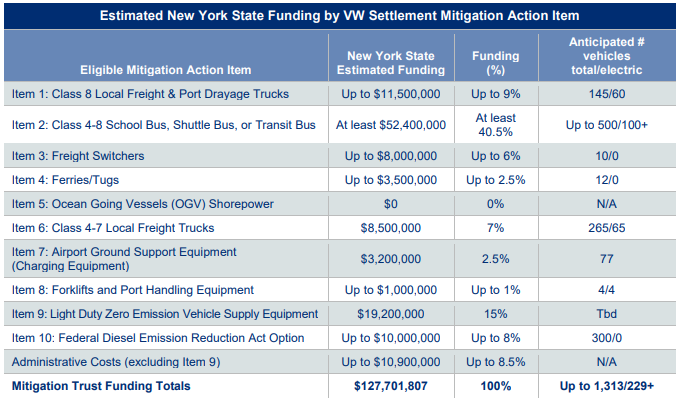 The chart below shows how NYS DEC proposes to dispense its Beneficiary Mitigation funding. Please note that hydrogen fuel cell vehicles qualify as eligible projects for all Eligible Mitigation Actions listed for Items 1-9 as fuel cell vehicles are considered “All-Electric” under the proposed BMP. New York is preparing to submit this plan to the Volkswagen Diesel Emissions Environmental Mitigation Trusts for approval. On September 16, the world's first hydrogen fuel cell-powered train entered commercial passenger service in the German state of Lower Saxony. Two models of the Coradia iLint, built by French multinational train manufacturer Alstom, will run on German railway company EVB's 62 mile Elbe-Weser network, replacing EVB's existing diesel train fleet. The Coradia iLint is powered by FCHEA member Hydrogenics's HyPM fuel cells, under a ten year exclusive agreement signed by the companies in 2015. According to Alstom, a stationary hydrogen fueling station will begin operation in 2021, when the company plans to deliver a further 14 Coradia iLint trains to Lower Saxony's rail transport authority LNVG. In a statement, LNVG chief Carmen Schwabl lauded the deployment of hydrogen fuel cell technology as a strategic decision. Schwabl believes that with hydrogen fuel cell technology, LNVG has found a "sustainable and practical solution" to replace their current fleet of 120 diesel-powered trains, which will reach the end of their life cycle in the next thirty years. Germany's federal government has actively supported the development and testing of the new trains in Lower Saxony by providing funds from the National Innovation Program for Hydrogen and Fuel Cell Technology. Click here for the full press release from Alstom. On September 7, FCHEA member Linde opened Germany's 50th retail hydrogen station for fuel cell vehicles (FCVs) in the northeast city of Potsdam, Brandenburg. The station opening was attended by industry representatives, along with local, state, and European Union politicians. Linde supplied the hydrogen fueling technology for the fueling facility, located at an existing TOTAL service station. The facility is owned and operated by H2 MOBILITY, a joint venture formed by FCHEA members Air Liquide and Linde along with Daimler, OMV, Shell, and TOTAL. The partners’ goal is to operate 100 stations in seven German metropolitan areas (Hamburg, Berlin, Rhine-Ruhr, Frankfurt, Nuremberg, Stuttgart and Munich) and along motorways and highways by 2019. Another 300 hydrogen fueling stations are planned to follow as FCV commercialization increases. According to TOTAL, the station is able to fuel up to 40 FCVs per day, and a facility for an optional 350-bar pump to refuel hydrogen-powered buses has been installed as well. H2 MOBILITY received a grant from the Fuel Cells and Hydrogen 2 Joint Undertaking (FCH 2 JU) to help establish the Potsdam hydrogen station. The Joint Undertaking receives support from the European Union’s Horizon 2020 research and innovation program. Click here for the full press release from TOTAL. On September 3, FCHEA member Air Liquide inaugurated HyBalance, a pilot site for the production of carbon-free hydrogen, in Hobro, Denmark. According to Air Liquide, HyBalance uses hydrogen electrolysis to generate electricity for the conventional power grid, while storing surplus hydrogen for use in transportation and industrial applications. The electrolyzer has a capacity of 1.2 MW which allows for the carbon dioxide-free production of around 500 kg of hydrogen per day. Besides industrial customers, the hydrogen that is produced will supply a network of five hydrogen stations installed and operated by the Copenhagen Hydrogen Network, a subsidiary of Air Liquide in Denmark. The HyBalance project first began in 2016, and is led by Air Liquide with funding from the European Union's Fuel Cells and Hydrogen Joint Undertaking, and support from the Danish Energy Technology Development and Demonstration Program. HyBalance is one initiative to help Air Liquide reach its Blue Hydrogen Commitment, which seeks to produce at least 50% of its hydrogen fuel via carbon-free processes by 2020. On September 19, Hydrogenics announced that it will take part in a European consortium to deliver a 2.5-megawatt electrolyzer-based energy storage system directly connected to a 45-megawatt wind farm in Raggovidda, Norway. According to Hydrogenics, the consortium - named Haeolus - will enable the production of clean hydrogen using some of the excess power produced from wind in the region. The Haeolus system will be remotely controlled and monitored due to environmental conditions at the wind farm and lack of accessibility during winter, when the area is covered by a thick layer of snow. Hydrogenics states that the Haeolus project receives funding from the Fuel Cells and Hydrogen 2 Joint Undertaking task force, a project from the European Union’s Horizon 2020 research and innovation program, the Hydrogen Europe Industry, and Hydrogen Europe Research. On September 4, FCHEA member Air Products announced cooperation and equipment supply agreements with Beijing Sinoscience Fullcryo Technology Co., Ltd. (Fullcryo) to accelerate the development of hydrogen infrastructure and support China’s first, commercial-scale liquid hydrogen fueling station. Under the equipment supply agreement, Air Products will provide two of its integrated Smartfuel technology fueling stations to Fullcryo for constructing the commercial-scale station, which will be located in Southern China's Guangdong Province. According to Saw Choon Seong, Air Products China President, the company is committed to supporting the Chinese government to implement its hydrogen energy roadmap, outlined in the government's 13th Five-Year Plan. Click here for the full press release from Air Products. On September 12, South Korea's Pulse business news website reported that Hyundai will establish a Special Purpose Company (SPC) by the end of the year to build hydrogen stations for fuel cell vehicles (FCVs). According to Pulse, the special committee formed in April for the establishment of the SPC, led by Hyundai and 15 other industry stakeholders, announced that it is inviting additional firms to participate in the project by October 2. The companies aim to raise about 200 billion won ($178.5 million) through the SPC, tentatively named HyNet, and construct 100 hydrogen fuel cell charging stations and operate them by 2022. The committee plans to hold an inaugural meeting around early November and complete the establishment of the SPC around mid-December. The SPC would be launched next year and operated over the next 10 years. Click here for the full article from Pulse. On September 4, the Linde Group announced the signing of a Memorandum of Understanding (MOU) with Sarawak Energy Berhad (SEB) in Malaysia to provide technical expertise across the company's hydrogen supply chain. In addition, Linde and SEB will explore potential uses of hydrogen in non-transportation applications, following SEB's construction of a pilot hydrogen production plant and refueling station this year. (Seated second from left) Linde South Asia & ASEAN Regional Managing Director, Rob Hughes and (seated, third from left) Sarawak Energy Berhad (SEB) Group Chief Executive Office, Sharbini Suhaili, during the signing of the Memorandum of Understanding between Linde and SEB to explore the potential of hydrogen. According to Linde, Malaysia is an attractive place for the company to invest further, tapping into its rich water resource for the production, storage and supply of hydrogen and other industrial gasses. Click here for the full press release from Linde. On August 29, Intelligent Energy announced that as part of UK Construction Week 2018, they will lead two discussions on the benefits of fuel cell power as a viable alternative to diesel generators. UK Construction Week is the United Kingdom’s largest built environment event, taking place at the National Exhibition Center in Birmingham on October 9 - 11, 2018. Dennis Hayter of Intelligent Energy's External Affairs will speak about zero emission technology and the transition to clean energy on Tuesday, October 9 at 12:30 PM. Joanna Richart, Intelligent Energy's Business Development Director, will speak about why fuel cells are relevant to the construction industry on Wednesday, October 10 at 4 PM. As well as leading discussions, Intelligent Energy will also exhibit its modular and scalable Fuel Cell Modules (FCMs) at stand E446. FCMs available include the FCM-801 1.2kW, FCM-802 2.4kW and FCM-804 4kW. Visitors will also have the chance to see Intelligent Energy’s cost-effective fuel cell power modules for Unmanned Aerial Vehicles. 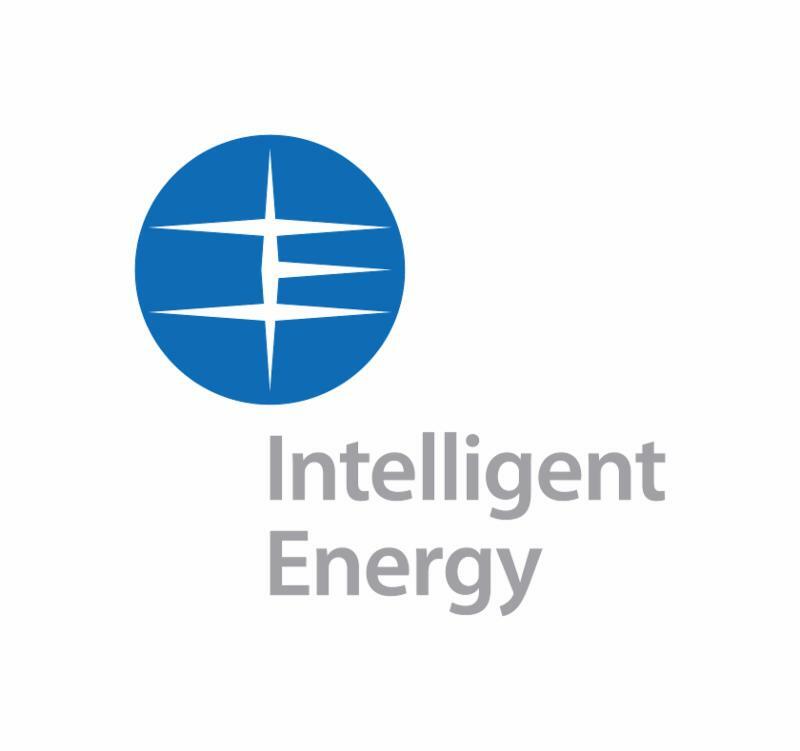 Click here for the full press release from Intelligent Energy. The U.S. Department of Energy's Fuel Cell Technologies Office (FCTO) will hold a public webinar titled “ElectroCat Consortium: Advancing PGM-Free Electrocatalysts for Next-Generation Fuel Cells". In this webinar, representatives from ElectroCat’s core laboratories will talk about how the Consortium is increasing U.S. competitiveness in manufacturing fuel cell electric vehicles and other fuel cell energy conversion devices. ElectroCat is addressing barriers to widescale implementation of fuel cell technologies by accelerating the development and deployment of platinum group metal-free (PGM-free) electrocatalysts in fuel cells. The webinar will cover the Consortium’s systematic approach to potential catalysts, computational work at the national labs, and data sharing with industry and academia partners. The webinar will be recorded and made available online, and includes a 15-minute Q&A portion. National Hydrogen & Fuel Cell Day - Only 2 Weeks Away! FCHEA, the fuel cell industry, its supporters, and friends will be celebrating our fourth annual National Hydrogen & Fuel Cell Day on Monday, October 8, 2018. As a reminder, the date of October 8 (10/08) was chosen in recognition of the atomic weight of hydrogen (1.008). National Hydrogen & Fuel Cell Day provides a platform for a nation-wide campaign to raise broader awareness of fuel cell and hydrogen energy technologies. We encourage FCHEA members, supporters, and friends to take pictures with fuel cells to show their support of fuel cells and hydrogen, as well as showcase all the ways that fuel cells and hydrogen technologies are benefiting society. We have provided a number of "I Support Fuel Cells" signs that can be downloaded, printed off, and used to show your love for these technologies! 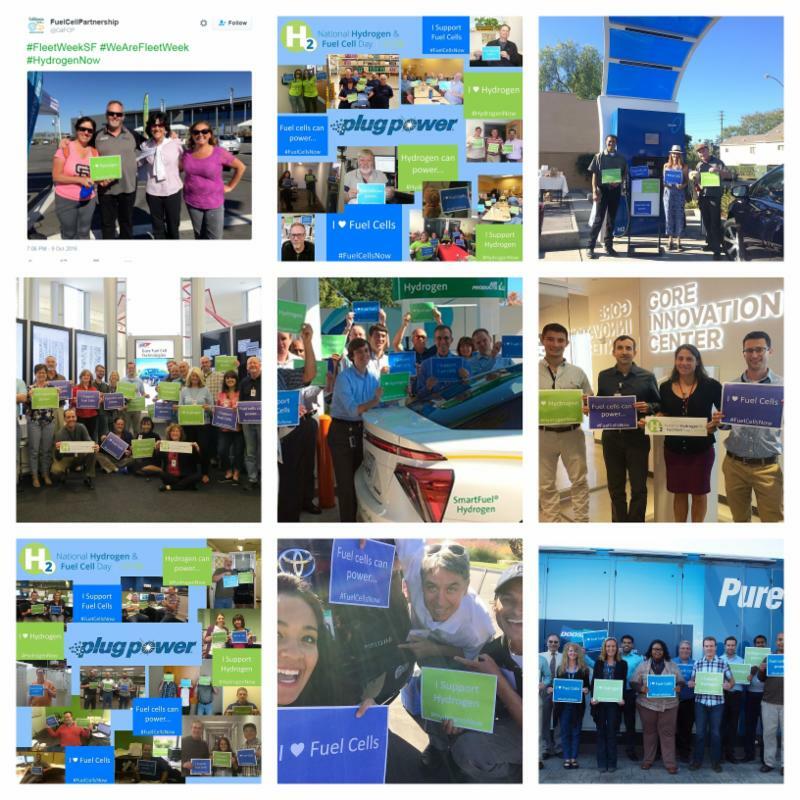 FCHEA encourages supporters of National Hydrogen & Fuel Cell Day to use the hashtags #HydrogenNow and #FuelCellsNow on social media to amplify the message that fuel cells are here today! Please feel free to use some of our suggested social messages below or use them as a starting point to make your own! Click here to see our Suggested Social Media Messages (PDF Download). 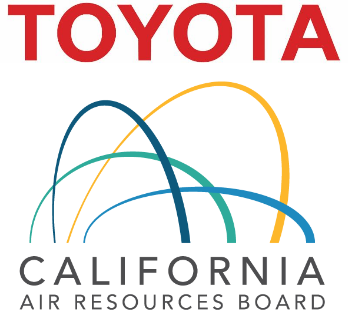 The California Air Resources Board (CARB or Board) will conduct a public hearing to consider approving for adoption the Proposed Amendments to the Low-Emission Vehicle III Greenhouse Gas Emission Regulation. In addition, CARB will consider the Proposed Innovative Clean Transit (ICT) Regulation at the hearing. The proposed ICT regulation would achieve air quality, climate, and public health goals, and provide the cleanest transportation to transit dependent riders, residents of disadvantaged communities, and individuals living in close proximity to transit centers, while providing transit agencies the flexibility to continue meeting expanding needs for effective, efficient, and affordable regional transit services across California. This effort is part of a broader strategy to increase clean, affordable transportation options with advanced clean vehicle technologies, ride sharing, active transportation, and other innovative methods to improve mobility and efficiency of transit systems in California. The proposed ICT regulation amends the existing Fleet Rule for Transit Agencies. Interested members of the public may present comments orally or in writing at the hearing and may provide comments by postal mail or by electronic submittal before the hearing. The public comment period for this regulatory action will begin on August 10, 2018. Written comments not physically submitted at the hearing must be submitted on or after August 10, 2018, and received no later than 5:00 p.m. on September 24, 2018. Click here to submit comments electronically. Join the Ohio Fuel Cell Coalition (OFCC) and other industry colleagues to celebrate the milestones and successes of those in our industry. OFCC invites you to listen and learn from fuel cell industry leaders LG Fuel Cell Systems, and Plug Power, and how they were able to "Create Success ... through Vision, Connections and Opportunities". This workshop also includes insights from American Electric Power and the National Energy Technology Laboratory, among others. OFCC will be holding their seventh Supply Chain Exchange. This unique opportunity is the most efficient and effective way to meet with suppliers and integrators, all in one place, at one time, and one-on-one. Please let OFCC know your interest by checking the appropriate box on the registration form. There will be an Exhibitors Showcase throughout the workshop, featuring a number of exhibitors in the main hall. Space is limited, so reserve your exhibitor table soon! In conjunction with the Exhibitors Showcase, there will be a Networking Reception for all Symposium attendees - please plan accordingly. There will also be an opportunity to ride one of the Stark Area Regional Transit Authority's Hydrogen fuel cell buses, and take a tour of their facility and hydrogen refueling station. 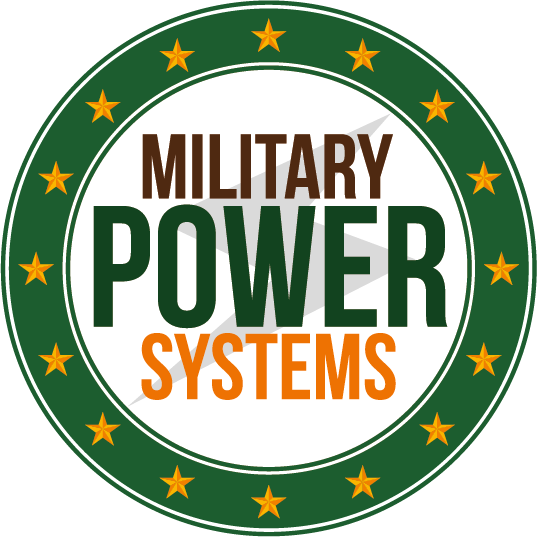 Military Power Systems Conference welcomes international stakeholders to examine solutions to increase operational energy efficiency and enhance power generation, power management, and energy storage at the unit level, across platforms and facilities. Energy Storage North America (ESNA) is the largest conference, exhibition and networking event covering all applications of grid storage in North America. ESNA connects over 2,500 utilities, developers, energy users, policy makers and other key stakeholders from around the world to advance understanding and deployment of energy storage, and ultimately build a cleaner, more affordable and more resilient grid. For more information and to register for this conference, click here. 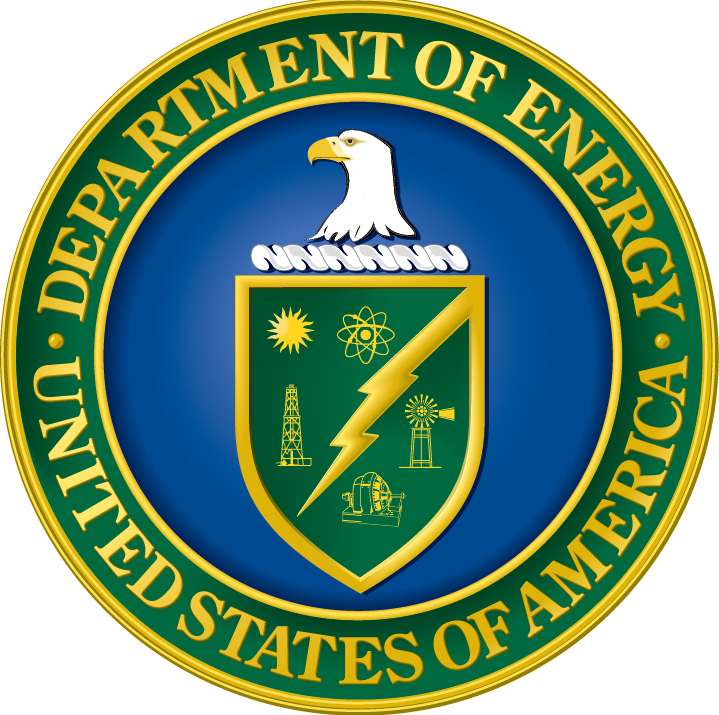 Minister of Energy Highlights Chile's Potential to Produce "Green Hydrogen"
The United States Department of Energy has released a request for information (RFI) soliciting stakeholder feedback on opportunities to enable high volume production and multi-sector use of hydrogen. With the help of this RFI, hydrogen use could be expanded and made more affordable across multiple applications such as energy storage, running large turbines at power plants, supporting grid flexibility and enabling baseload operation of nuclear plants, as well as increased renewable power generation. Responses are due October 31, 2018, at 5:00 PM Eastern Time. Click here for the full RFI. The Maryland Energy Administration (MEA) is excited to announce the opening of the Fiscal Year 2019 (FY19) Animal Waste to Energy Grant Program (AWE Grant Program). MEA has made up to $6,000,000 dollars available in two Areas of Interest (AOI) – on-farm/pilot scale and a community/regional scale. Eligible projects must use animal waste, through any proven process, to generate electricity, reduce the volume of animal waste, and address the fate of the byproduct. Applications are due December 15, 2018. For details regarding the grant program requirements and restrictions, please see the FY19 AWE Grant Program Funding Opportunity Announcement (FOA), details and application, click here. The Maryland Energy Administration (MEA) is pleased to announce the launch of the Fiscal Year 2019 Data Center Energy Efficiency Grant Program ("DCEEG" or the "Program"). This first of its kind in the country grant is now entering a third cycle and is designed to support Maryland's robust and growing information technology sector. Successful projects must results in the reduction of energy usage within a data center through cost-effective energy efficiency measures. Applications will be reviewed competitively and MEA will accept applications until 11:59 PM EST, December 22, 2018. Click here to access the Fiscal Year 2019 application and program guidelines. The Pennsylvania Department of Environmental Protection (DEP) recently launched a new grant program for zero-emission vehicle (ZEV) charging and fueling stations to increase options for ZEV owners and encourage more people to consider these clean vehicles for their next car. The funding comes from Pennsylvania’s $118 million settlement with Volkswagen Group of America for cheating on U.S. Environmental Protection Agency emissions tests. The grants are available through Governor Tom Wolf’s Driving PA Forward initiative. The goal of the initiative is to permanently reduce nitrogen oxide (NOx) pollution from vehicles. Up to $3 million in grants is available for acquisition, installation, operation, and maintenance of ZEV fast-charging equipment and hydrogen fuel cell equipment through 2019. Grants are awarded as reimbursements after completed projects, with a maximum amount of $500,000. The amount awarded depends on the charging or fueling capacity of the proposed equipment. Application deadlines are 4:00 PM on January 25, July 15, and December 16, 2019. All applications from each period will be reviewed. For more information and to apply, click here for the Driving PA Forward website. Apply online using NYSERDA’s application portal. Applications close at 5 PM Eastern Time on December 31, 2019. Mobile Source Air Pollution Reduction Review Committee (MSRC’s) strategic partners. The intent is to provide funding that can be used to improve the financial viability of a candidate hydrogen refueling station that has already undergone vetting by the Energy Commission or South Coast AQMD, or is being proposed by a public agency or industry stakeholder that will undergo evaluation by the MSRC, Energy Commission, or South Coast AQMD. The goal is to have this funding source readily available so it can be tapped by our strategic partners during and within the course of their regular procurement processes. initial funding allocation; the MSRC reserves the right to increase the funding available under this PON by allocating additional funds from either the FY 2016-’18 Discretionary Fund or a future Work Program. The period of submittal under this PON closes on April 10, 2020, unless extended by the MSRC. Click here for the full Program Opportunity Notice from the South Coast AQMD.